After my fiasco with spilled powder paint (see previous post) I decided to just use some blue finger nail polish for coating the jig head. These flies are for a crappie jig fly swap on a fly tying forum. 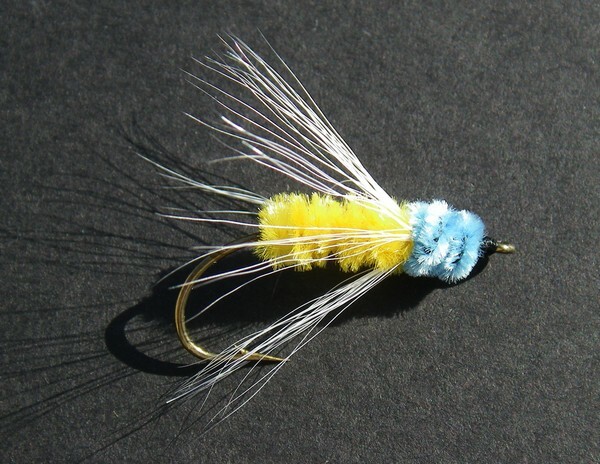 I decided to take a bucktail panfish fly and convert it into a jig style fly. I choose the James Woods Bucktail. Tying note: Use whatever materials you have on hand to tie these jigs. I was getting set-up to do some power painted jigs and went to lift the jar but the cover wasnt exactly screwed on and you know the rest of the story.